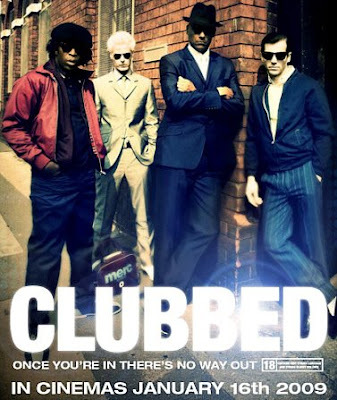 share ko na din tong nalimot ko..
Patulong naman po pagdownlaod nito..
Clubbed is an upcoming 2009 British drama film about a 1980s factory worker who takes up a job as a club doorman, directed by Neil Thompson. Danny - a lonely factory worker intimidated by life - is battered and humiliated in front of his kids in a random act of violence. His already bleak existence sinks further into the abyss. On the verge of total breakdown, he decides to fight back. He meets a group of nightclub doormen who take him in and give him the confidence to stand his ground. As he is drawn deeper into their world, he becomes embroiled with the local gangland boss, setting in motion a chain of events with shockingly brutal consequences. mga sir pede b mag request? meron po ba kayong Asian Ska Foundation? pa-upload naman po or links... thanks!